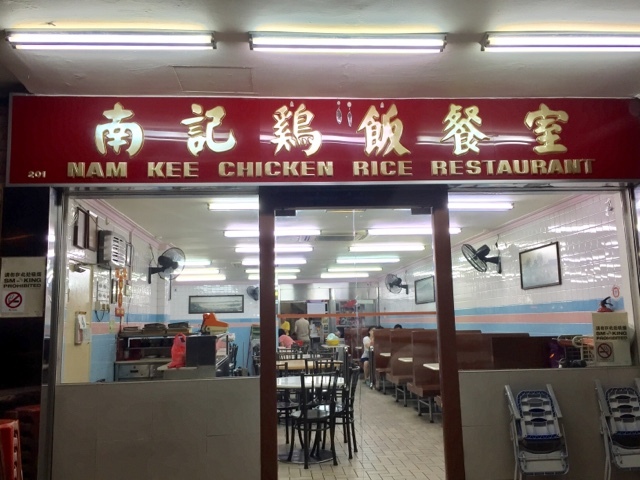 The most enjoyable part about Nam Kee Chicken Rice is that the dishes has an unique home-cooked feel to it. That's the spirit of Hainanese cuisine. 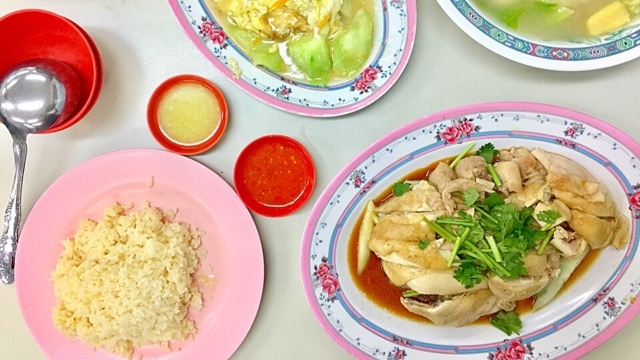 Another huge pulling factor is that other than their delicious Chicken Rice, they also served a variety of Hainanese dishes. There are two types of Chicken Eaters in this world - the breast meat hater and the breast meat lover. Breast Meat Lovers often recoil in disgust at the oily and slippery thigh meat. The Breast Meat Haters reject the tougher and drier breast meat. Judging from the picture, I am of course a BMH. I was impressed with the service because the lady taking our orders patiently listened to us ordering a plate of two drumsticks meat and one thigh meat. In the end, she said it sounded like half a chicken so she charged us at that price of $13 and gave us a plate of succulent and tender drumstick meats. I am not sure how many drumsticks there were but it was definitely sufficient to feed two of us. The quality of meat is high because the meat is tender yet there is no trace of any blood in the bones, the skin is tasty and no tinge of smelly chickie. Thumbs up! 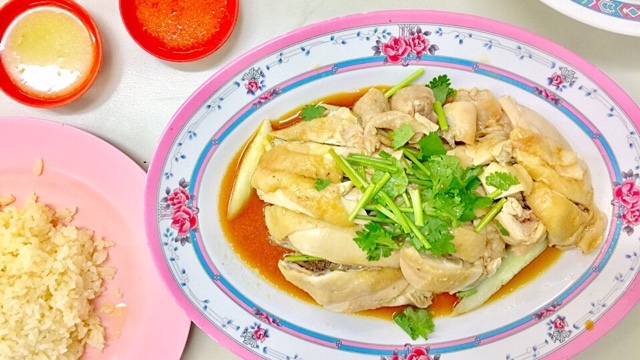 Nam Kee serves fragrant rice that has been flavoured with the essence of natural chicken oil. 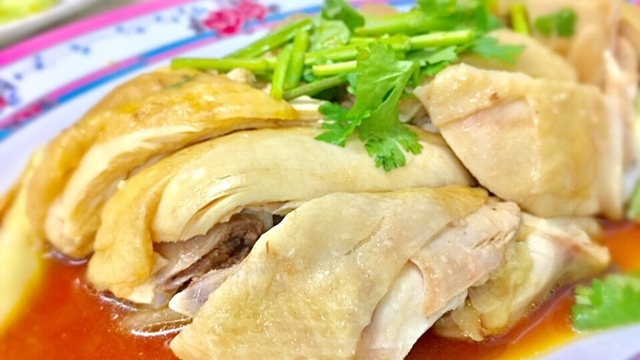 If you have cooked chicken rice before, it is not difficult to achieve delicious rice, you just need to be generous with the natural chicken oil or zup. Nam Kee rice is very soft so some people who swear by cooked grains which could be separated, this is not the one for you. As for me, I absolutely love the fragrant yet not salty at all rice. Sedap and home-cooked feel! If you have been following my post, you would have know that I have been seeing a regular TCM physician. She told me to drink more fish maw soup. 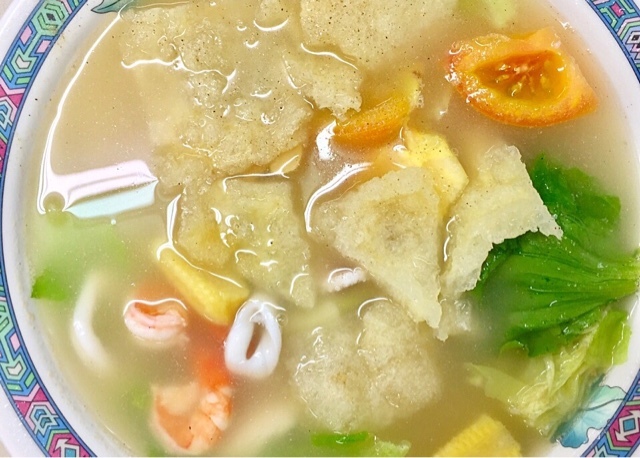 My eyes shone like a diamond when I saw that there is Fish Maw soup on the menu and guess what! It is only $10 for fish maw you know! It is really reasonable. 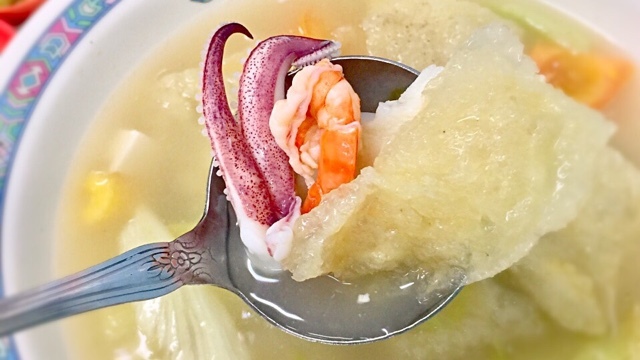 When it was served, it blew my mind away with its generous ingredients! 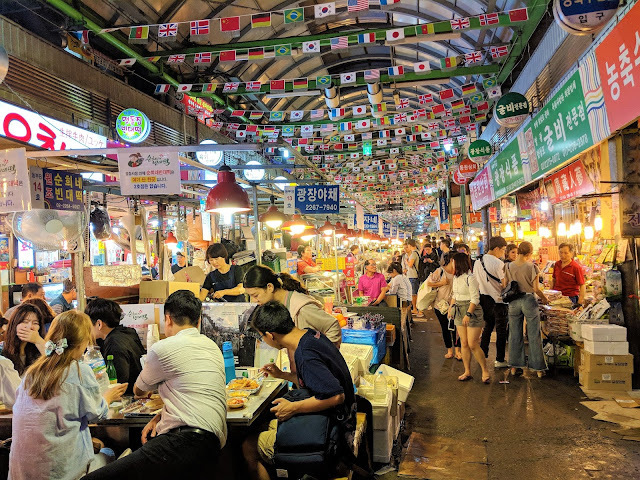 I was so surprised to scoop up many rounds of fresh sotongs, prawns and fish slices. 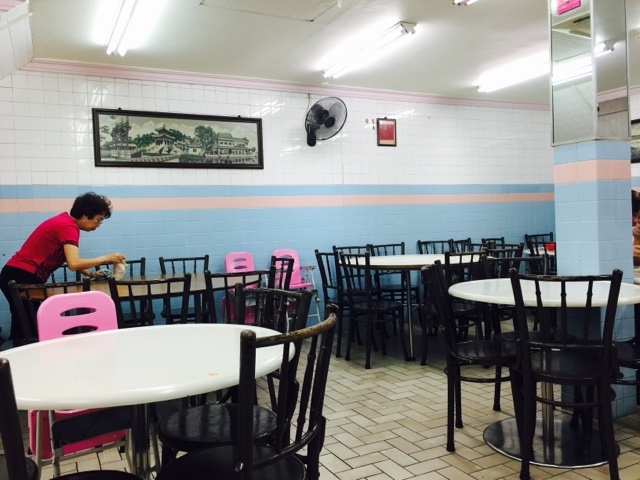 The fish maw was thick, soft and without any fried oil smell. Bagus! Oh man! This is a must try dish, not for the melon, but for the EGGS! I have never tasted such yummy soft eggs that were bursting with the flavours of fried eggs mixed with melons. The Wok Hei is like 10/10. I am a sucker for Loofah Melons and I was a little disappointed that it was not as soft as I would have wished for. But the eggs have made up for that small disappointment. Overall, I enjoyed my dinner tremendously. 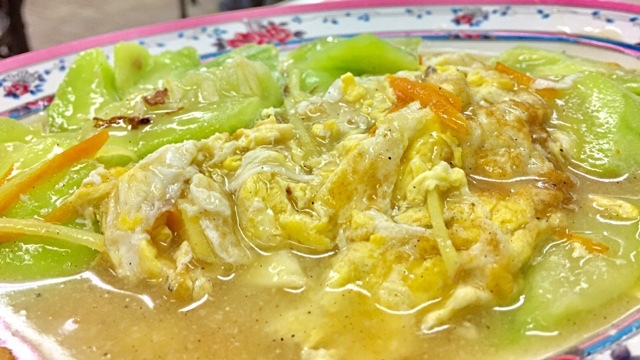 It is not my first time eating Nam Kee and I just thought of writing a post to share with you what you could enjoy if you are looking for a reasonable place which is fully air-conditioned with an old school theme. Just imagine a 60s restaurant but fully air-conditioned. How cool is that... We went for a late dinner around 8plus. If you want to avoid the crowd, this timing is good if you had a late lunch like us.